Walter Matthau began his "Entertainer" career as a child actor in the New York Yiddish theater, then made his professional adult stage debut. His later stage work includes renowned roles turned into motion pictures in A Shot in the Dark, and The Odd Couple. Mr. Matthau performed to an audience who went wild for the funny combination of Jack Lemmon and Walter Matthau working as a team. They re-created this pairing in various films featuring their "at odds" humor. Another favorite picture was Charade, with two of our other renowned film clients: Cary Grant and Audrey Hepburn (when Ms. Hepburn lived in Los Angeles). 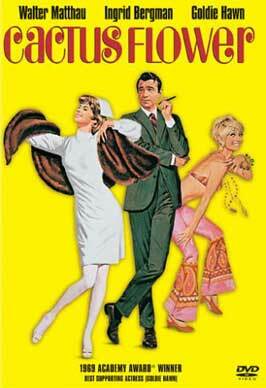 Cactus Flower paired Walter Matthau with Goldie Hawn and Ingrid Bergman. Mattheu also starred in the original The Taking Of Pelham One Two Three (1974), recently remade. In his last years he appeared in Grumpy Old Men, again paired with Lemmon. All of us at ISA will miss this great comedy and dramatic actor who brought so much expression with that famous face to his characters. 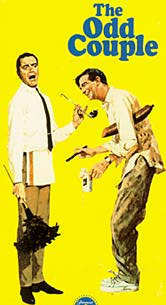 The Odd Couple presents two of the most memorable character performances on screen not to be missed.